Taylored Expressions August Sneak Peeks: Whoos Scared? Hello! 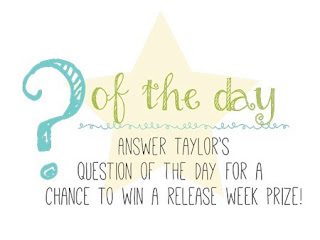 It's Day 1 of sneak peeks from Taylored Expressions, and all of the new products will be available on Thursday, August 3rd at 7AM PST! 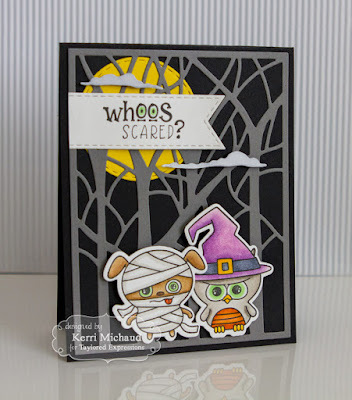 This is my favorite time of year to be a card maker, because I just LOVE crafting for the upcoming holidays:) For my first card today, I used the adorable new Peek-a-Boo Halloween Stamp Set. 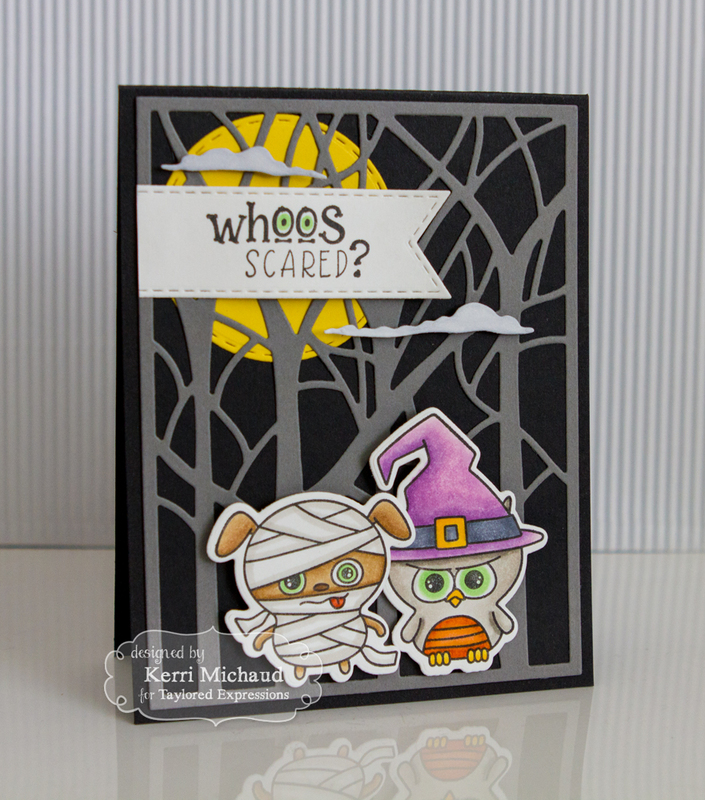 I stamped the adorable images with Oreo Ink, colored with Copic Markers, and cut them out with the coordinating Peek-a-Boo Halloween Dies. For the background I used the Spooky Trees Cutting Plate to cut a piece of Earl Grey cs. I then layered that over some Oreo cs and a moon cut out of Lemon Meringue cs using a Stitched Circle Stacklets Die. 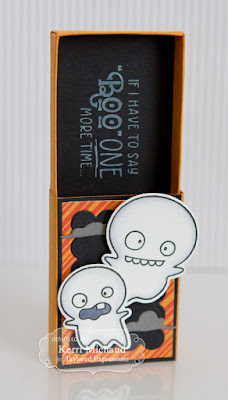 I added the clouds cut with the Spooky Clouds Dies, and the sentiment was cut out using a Stitched Banner Stacklets Die. I started by putting my matchbox together using the Matchbox Dies and some Candy Corn cs. I stamped these hilarious ghosts with Oreo Ink and lightly colored around them with Copic Markers. I cut them out with the included dies. 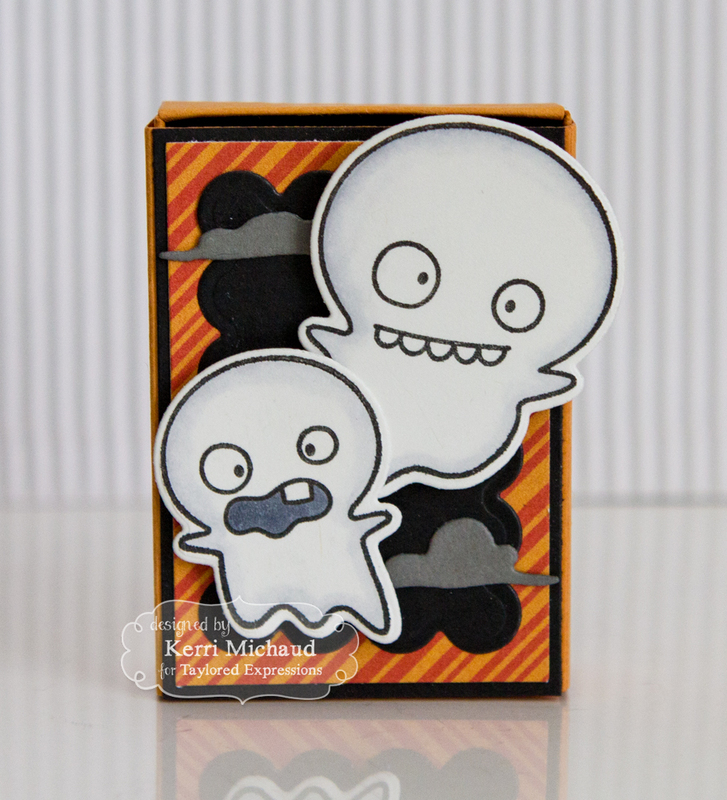 I used some Playful Patterns-Haunted dp for the background, along with some Oreo cs and some clouds cut with the Spooky Clouds Dies out of Earl Grey cs. I layered the inside with Oreo cs and stamped the sentiment using Sugar Cube Ink. This set just cracks me up lol!